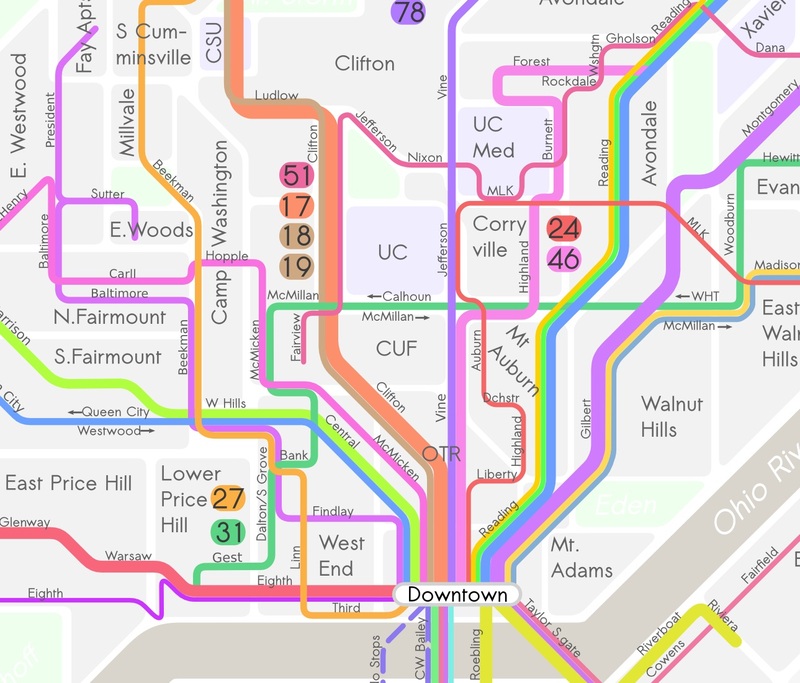 In January, Nathan Wessel debuted a new transit map for Cincinnati’s Metro bus service. Wessel developed the map to simplify transit ridership and hopefully encourage new riders to utilize the system. Now he is looking to take the map to the next level and actually get the thing produced by raising money through Kickstarter. Kickstarter claims to be the “largest funding platform for creative projects in the world” and helps raise millions of dollars through tens of thousands of donations every month. The micro-fundraising strategy is one first popularized and mastered during Barack Obama’s 2008 presidential campaign. The website only works though if the project raises its fundraising goal within its allotted time. If the goal is not reached then no money exchanges hands. In the case of Wessel’s Frequent Transit Map for Cincinnati, he is looking to raise $1,200 which will produce more than 30,000 copies of the 3.7-inch squared carrying map. People like those featured in the video, produced by Wessel, who would like to see his product become reality can pledge money online through Kickstarter. Individuals who pledge more than $5 will get a copy of the produced map. Additional tokens of appreciation will be given to those who contribute more, and are explained in detail on the project’s fundraising page. All pledges must be made by Wendesday, April 20 at 3:15pm.